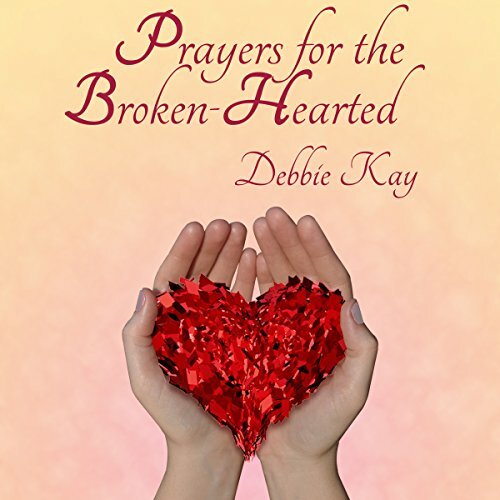 Prayers for the Broken-Hearted was born out of Debbie Kay's ministry, Hope for the Broken Hearted. As someone who knows what it's like to have a broken heart, she knows how to pray for others that are hurting. With a following of millions per week through social media, her daily prayers have become a much requested source of strength and encouragement for hurting hearts around the world. Her prayers put words to the cries of a broken heart. For anyone who is hurting, regardless of the source of the pain, these prayers will draw listeners into a closer relationship with God. He is the source of our hope and The One who restores our broken hearts. Prayers for the Broken-Hearted audio book was an outstanding book. It is one that you will listen to over and over again as I am doing. I put it on alot of times when I can't seem to sleep and Debbie Kay's soothing, calming, peaceful voice reading her beautiful prayers will decrease the anxiety and calm me down and I fall into a very peaceful sleep. If you are really anxious about something or just need a boost of encouragement....it provides. I am so happy Debbie decided to put her beautiful prayers in book form (written and audio). I have purchased both. I highly recommend this book. You won't be disapointed!! !